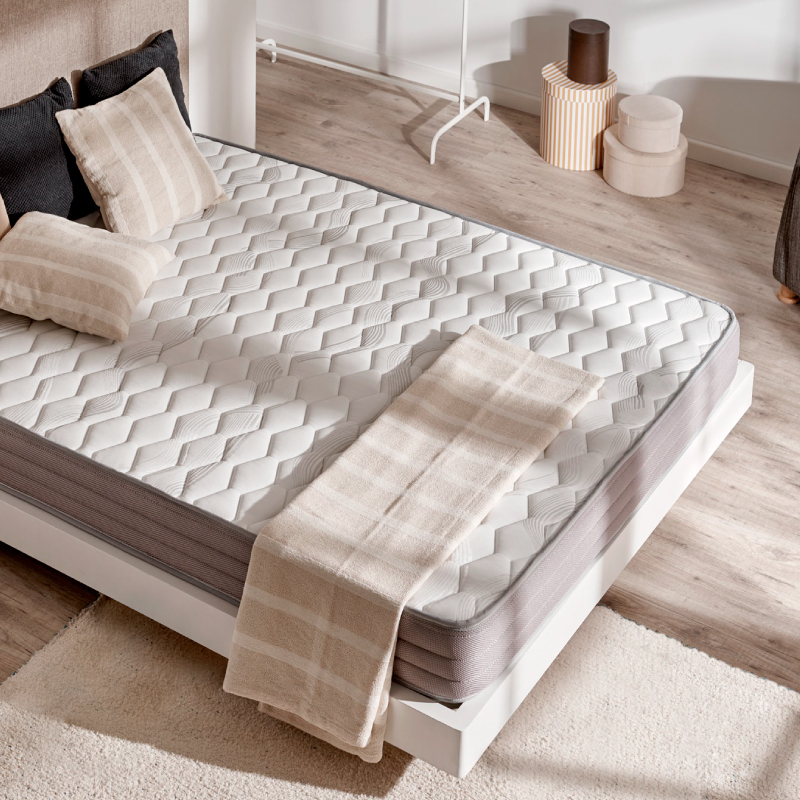 The Aero Latex mattress is one of the most economical foam mattresses from the Naturalex Essential collection. Ergonomic and adaptable, it reduces pressure points which helps to maintain healthy blood flow and provides long-lasting comfort. It works to your shape and size and supports your entire body while you sleep. This results in a better night’s sleep, and less aches and pains when you wake. 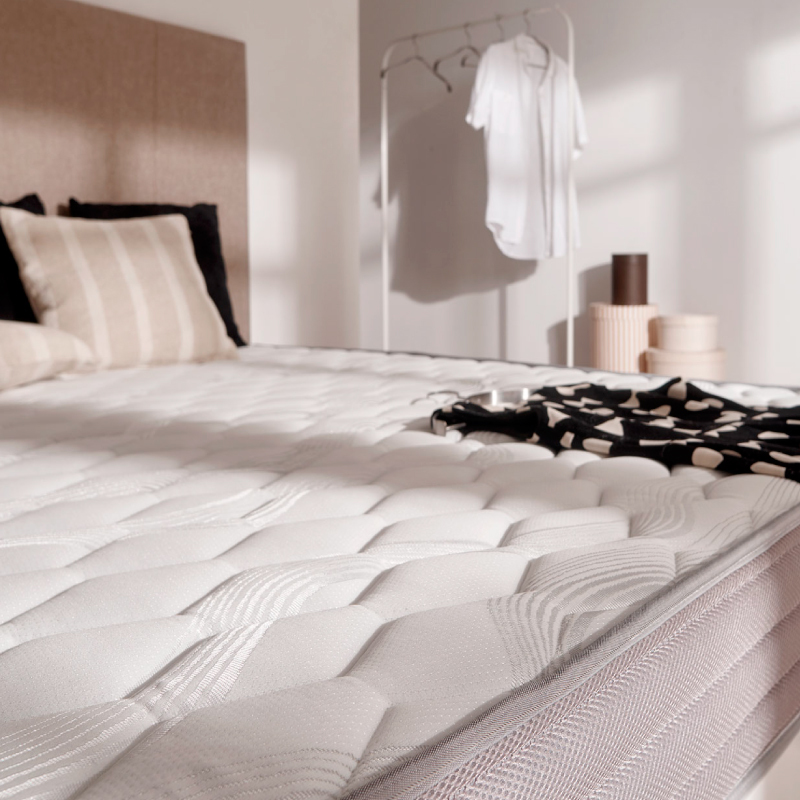 It has one layer of dual-density Blue Latex® adaptive foam (35 and 38 kg/m3) for major support and a 3cm layer of open-cell structure Aquapur® foam to ensure breathability. This model is available in various firmness, from balanced to hard.